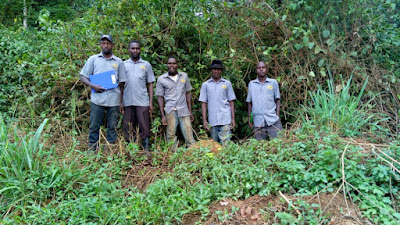 The Association for the Conservation of Bugoma Forest (ACBF) in 2017 started important projects in its effort to continue activities for the conservation of Bugoma Forest and the chimpanzees in Hoima District. Particularly on 21st March 2017 in the occasion of the International Day of Forests which was organised by the Association and celebrated in Mwera Eco-tourist site of Bugoma, it was launched the first program of the private patrol to help National Forest Authority in monitoring and curbing illegal activities. Especially from 2016 it was recorded a rampant escalation in illegal logging for hard timber (mahogany); illegal cattle grazing which lead to burning of large extensions of forest for pastures; and huge encroachment of a protected areas for agriculture. Certainly the conservation level was negatively affected by the intention by Bunyoro Kitara Kingdom to give away 30% of the forest for sugar plantation in favor of the investor Hoima Sugar Works. The matter seems being blocked to date, but the destruction which took place is still burning. Therefore, the Association took the decision to enter into action with a team of five people paid under the project “Chimp T-RAP Patrol”. From 1st April our team is regularly providing patrol and gaining intelligence which is already bringing positive results. Another project which is on and crucial in our efforts is the development of the public nursery bed started in 2016 which is providing indigenous seedlings and tropical trees to those institutions and farmers interested to make contract to extend their tree cover for purpose of Agroforestry and the protection of water sources. The nursery is the only current relevant indigenous tree nursery found in the Bugoma Forest surrounding areas. Between 2016 and 2017 eco-tourist activities were initiated and promoted in Bugoma Forest, particularly targeting to see the endemic Ugandan Mangabeys. It came to our attention that UNRA is planning to develop heavy traffic tarmac roads inside Bugoma Central Forest Reserve, including the Mwera –Kaseeta road which is the heart of eco-tourism and biodiversity. The pressure group of the Association is working on having the concern tabled at the relevant institutions. The Association is having its second Annual General Meeting on Friday 26th May 2017 at the office in Robert Mugabe Plot 2B Kinawataka-Mbuya, Kampala at 3:00PM, where corporate and individual members will elect the new board and discuss the way forward.